Our love for worker placement games and our efforts to host game knights has us exploring different game options. That's what eventually led us to Upon a Fable, which is a quirky worker placement game that can support more than 4 players. And that's a bit of a feat when it comes to games in this particular genre. It's easy to rely on party games when it comes to bigger game nights but the really fulfilling games tend to max out at 4 players for one reason or another. This game manages to keep things balance enough despite the higher player count although it does mean longer play time. 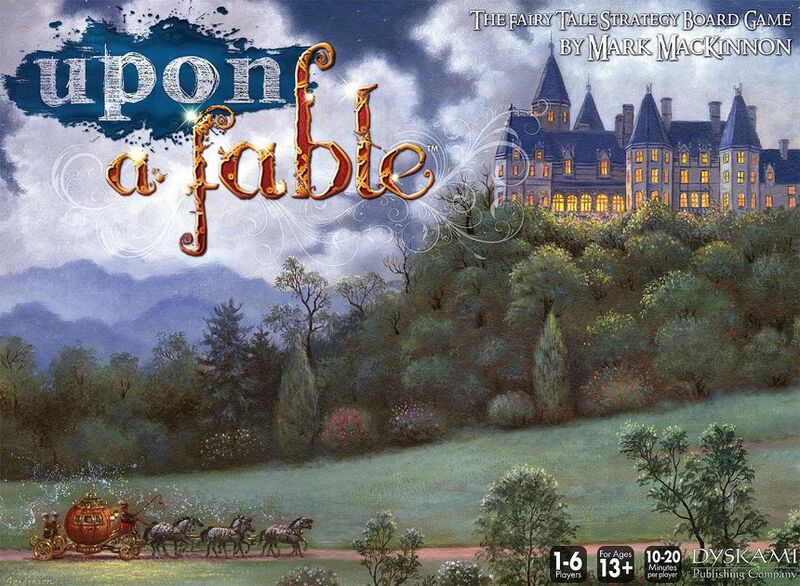 Synopsis: Upon a Fable is a worker placement fantasy-themed game created by Mark C. MacKinnon. The game supports 1-6 players and involves different mechanics including card drafting and set collection. 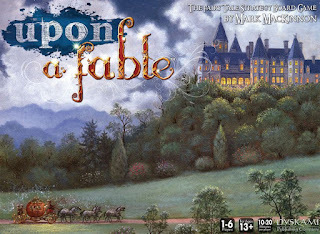 Players are rulers of different fairy tale lands and the goal is to accumulate the most victory points at the end of the game. There are a variety of things that players can collect to gain points come end game including adding more realms, upgrading realms, playing more Ever After cards and gathering more of the Wonders of Magic, Love, Honour, Followers, and Castles. The game requires players to balance all these different elements as at some point you stop earning more points for gathering more of any one of the items listed above. Thus diverse growth is more important in order to establish a kingdom that stands above the others. What I Liked: The game is actually fairly simple when you get down to it and the basic mechanics are easy enough to teach. Of course figuring out the strategies and getting used to growing your kingdom is where all the complexity is. But once you get it, then it does grow up to be a pretty interesting game with a lot of diverse play options. I love the modularity that had been incorporated to things such that there are different action boards based on the number of players and the mix of possible action spaces that will be revealed during the game changes from session to session. Thus even if you have a fairly good grasp of the rules you'll still find yourself off-guard based on what action spaces open up as the game rounds elapse. What Could Have Been Better: The more players involved, the longer this game becomes first because of the Hand of Fate card drafting mechanic that is played out every round. Then the next big delay is how your total number of Fable followers can go as high as 6, and thus that could mean 6 actions for 6 players. It's next to impossible for everyone to max out their realms and fables in that manner but games can get fairly close and that can drag things to a crawl. The base game components that come with the game are a little lackluster as they went with cardboard cutouts. There is a Tree of Wonders upgrade that adds proper wooden tokens for the game, but still not enough to satisfy your needs for games that involve 4+ players, in my experience. It's fun but sometimes game component quality can really affect your love for a game. TL;DR: Upon a Fable is a quirky game that we've come to love during game nights even if it does not have as much love as we'd like when it comes to the gaming community at large. It's biggest draw is its player capacity for gameplay of this nature but it's not the most polished game in the genre. Thus the still gets a good 4 blessings and curses that can really mess you up mid-game out of a possible 5.